Noah Parramore and Susan Catherine Dasher are my paternal second great grandparents. 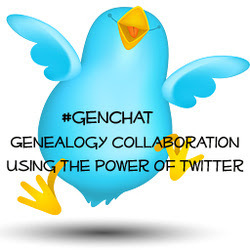 Their daughter Susan Parramore and Alexander Shaw Pendleton were my great grandparents. Noah Parramore, the husband of Susan Dasher. He died on October 20, 1891. Susan Catherine Dasher, the wife of Noah Parramore. She died May 5, 1901. 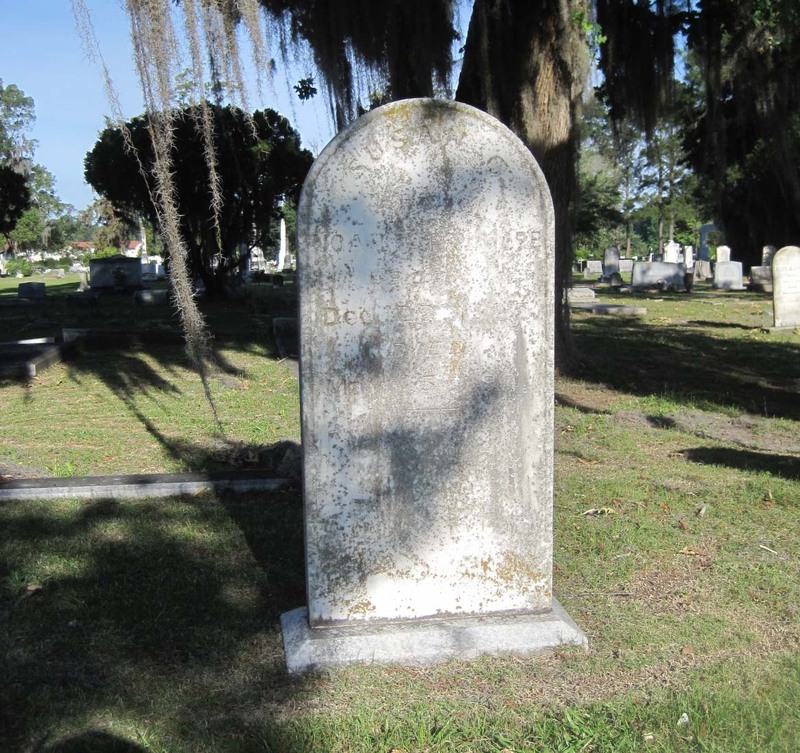 Immediately to the left of Susan's grave is their son Herman D. Parramore who was murdered in Bradford, Florida, while being robbed on December 18, 1891 (see the December 19, 1891, issue of The Valdosta Daily Times). He died just two months after his father. He was working for my great grandfather Alexander Pendleton and was in Florida at the time to see some customers. Gertrude Dasher Paine, the sister of Susan Dasher Parramore. 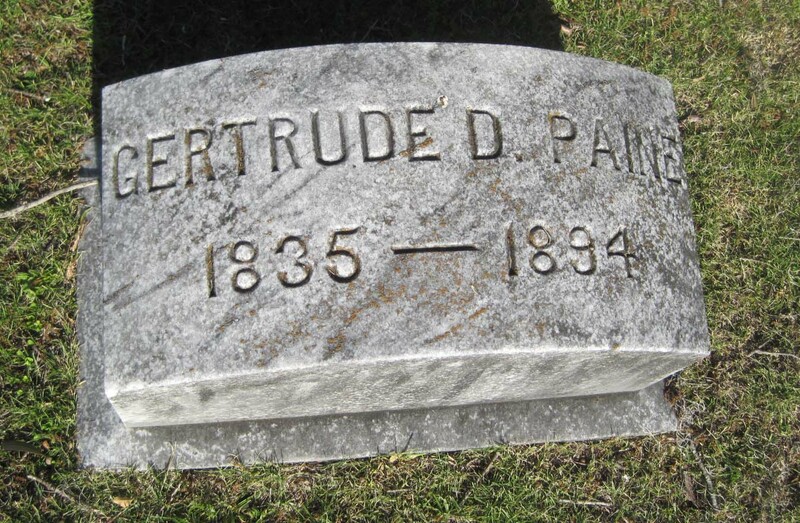 My great grandmother Susan Parramore, daughter of Susan and Noah, named one of her daughters Gertrude. I wonder if it was for her Aunt Gertrude. Immediately to the right of Noah Parramore is Susan's son Richard H. Howell from her first marriage to Richard H. Howell. Son Richard was just 21 years old when he died. Richard H. Howell, the son of Susan Dasher Parramore from her first marriage to Richard H. Howell. 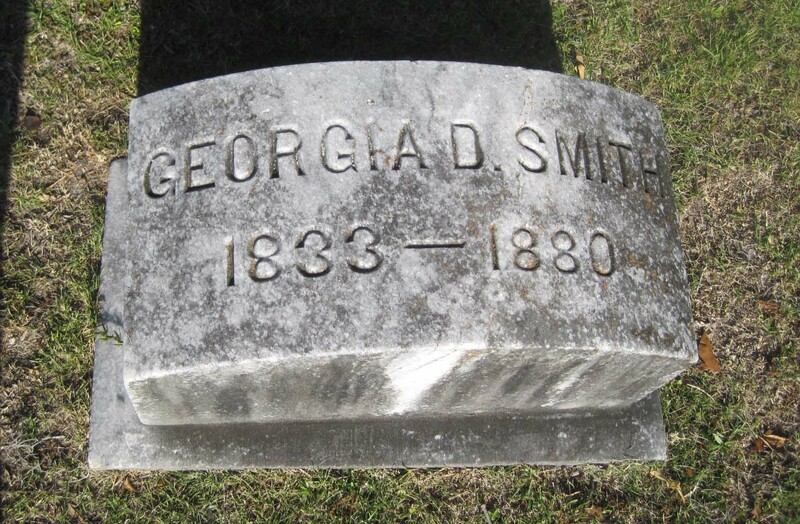 Their son died on November 4, 1875. Next to Richard, on the right, is Susan and Noah's daughter Bessie. She was only 19 years old when she died. My great grandmother Susan Parramore, Bessie's sister, called one of her daughters Bessie (short for Elizabeth). 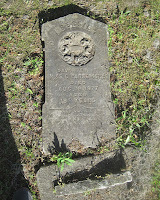 The headstone of Bessie Parramore. 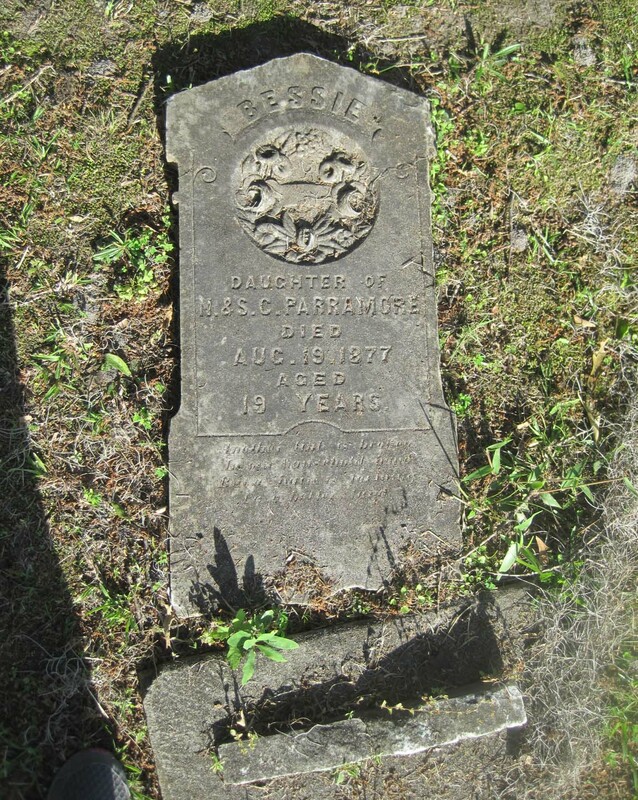 It reads "Bessie Parramore, daughter of N. and S.C. Parramore, died Aug. 19, 1877, aged 19 years". Unfortunately, this headstone has fallen off of its base. 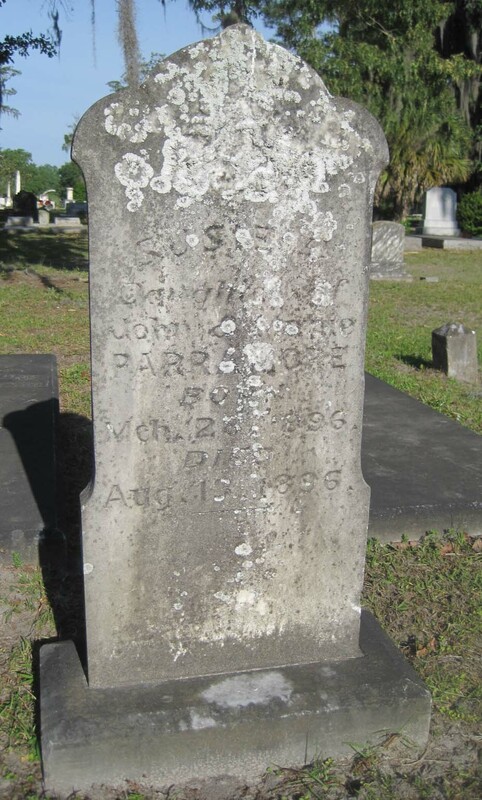 In the forefront in the photograph of the Parramore plot (see above) are members of the John Parramore family. 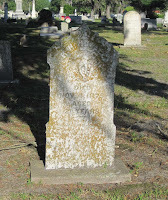 John was another son of Noah and Susan Dasher Parramore and a brother of my great grandmother Susan Parramore. 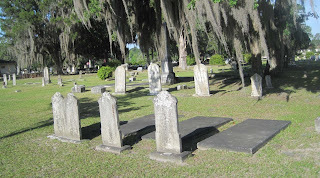 The three slabs are Annie Parramore Blackburn (John's daughter), John Parramore, and Martha K. Parramore (John's wife). 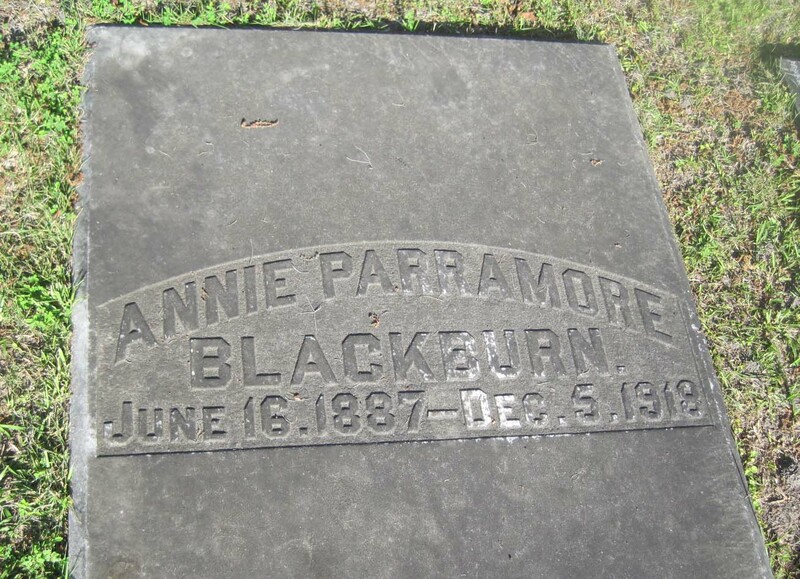 Annie Parramore Blackburn, daughter of John and Martha K. Parramore. She was born June 16, 1887, and died December 5, 1919. 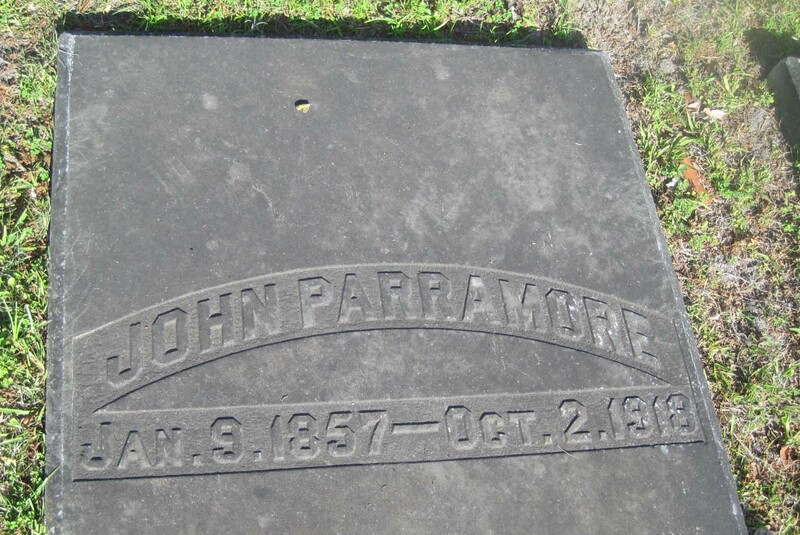 John Parramore, son of Noah and Susan Dasher Parramore and brother of my great grandmother Susan Parramore. 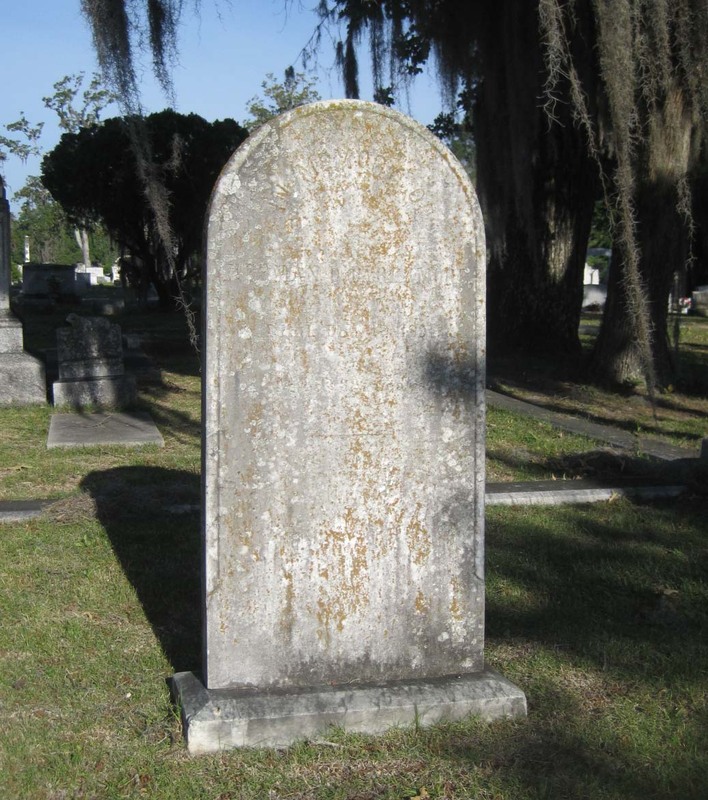 He was born on January 9, 1856, and died October 2, 1918. 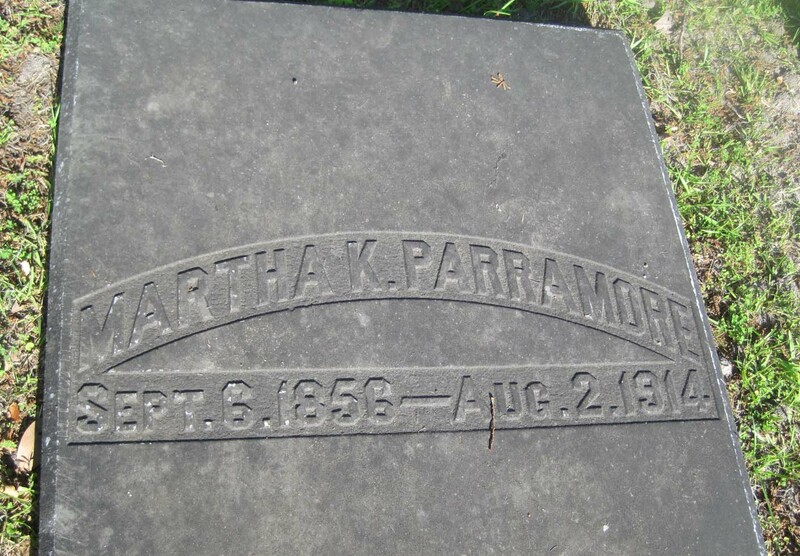 Martha K. Parramore, wife of John Parramore. She was born September 6, 1856, and died on August 2, 1914. 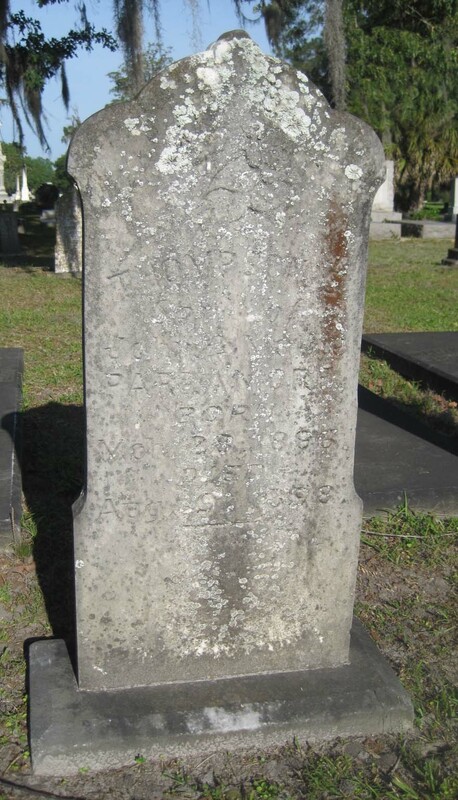 The three standing headstones in front of Annie, John, and Martha Parramore are more of John and Martha's children. 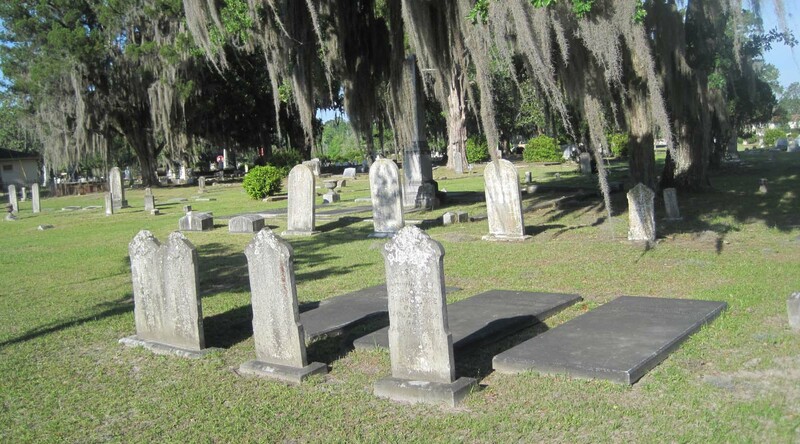 The one furthest to the left is a double headstone for their young sons Frank and Herman. The inscription is nearly illegible. According to the Sunset Hill Cemetery interactive map, both of these boys died in 1900. I can just make out the number "4" in both of their inscriptions. Did they die the same day? Was it from an accident? I need to find out what happened. Frank and Herman Parramore, sons of John and Martha K. Parramore. Frank was born in 1888 and Herman in 1890. It seems they died on the same day in 1900. Next to young Frank and Herman, is their baby sister Susie who was only a few months old when she died. Susie Parramore, baby daughter of John and Martha K. Parramore. She was born on March 28, 1896, and died just a few months later in August. On the other side of Susie is another young child of John and Martha's, Thompson Parramore. He must have been Susie's twin as he has the same birth date. He died two years later in 1898. Thompson Parramore, son of John and Martha K. Parramore and probably Susie's twin. The Parramores certainly had their share of tragedy. 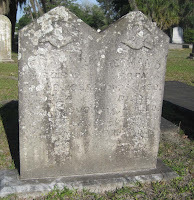 As I was writing this post and rereading the gravestones, I thought that I need to do some newspaper research to see if I can find out anything about some of these deaths! What happened to little Frank and Herman? 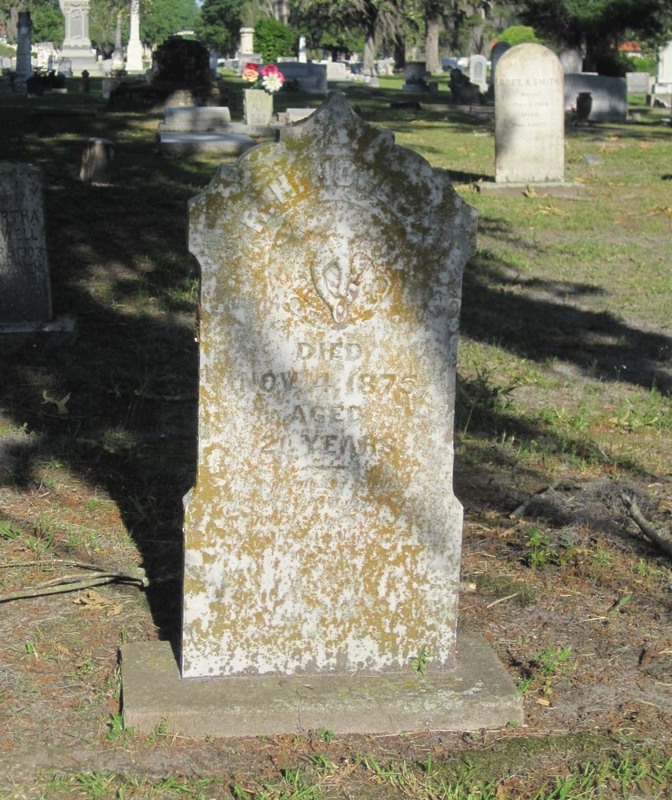 Did John and daughter Annie die during the flu epidemic? 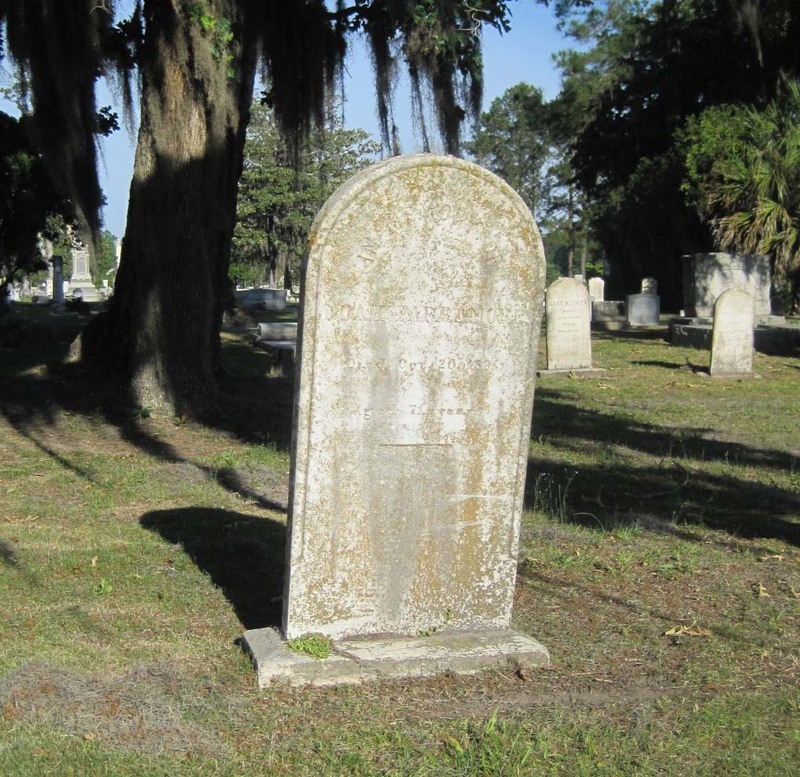 I'd already run across an article about the murder of Herman D. Parramore in 1891 while I was researching the Pendletons in the Valdosta Times. Over the years, my dad explained to me more than once that we were related to my Great Uncle Redden Parramore not just by marriage. I could never remember how. Uncle Redden was married to Dinah Roberts, one of my maternal grandmother Leona Roberts' sisters. It wasn't until I started doing my own research that I finally got it! Noah and Susan were his grandparents! What a thorough explanation of this family graveyard! You seem to know a lot about those who are buried here -- I assume you have spent many hours researching them. And yet there are still questions to ask, as always. Having read about the Spanish flu, I always think of it when there are deaths near 1918. I confess I like the name "Parramore" because it sounds like "paramour," with romantic connotations.